Do you have Crafty Friends and DIY’er family members? 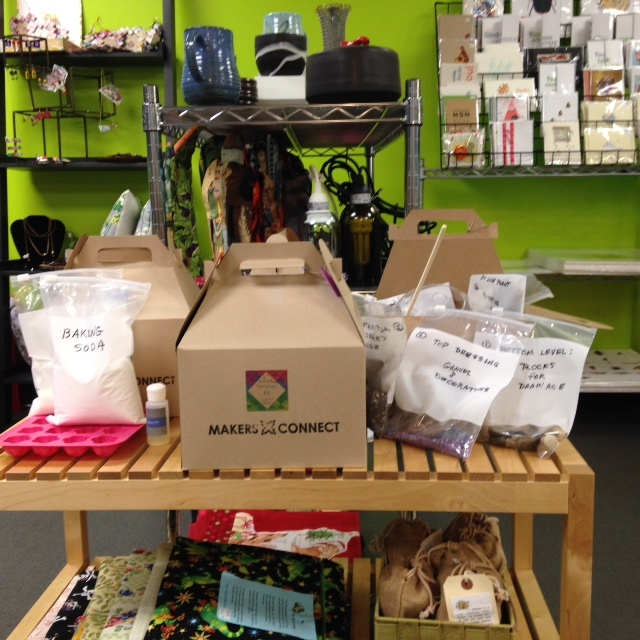 Perhaps you have some folks on your holiday list who have it all…..or just folks who might enjoy a relaxing new hobby? Of course, sometimes these things overlap. Here at Makers Connect we’ve been hard at work creating super fun KITS to help solve this quandary. 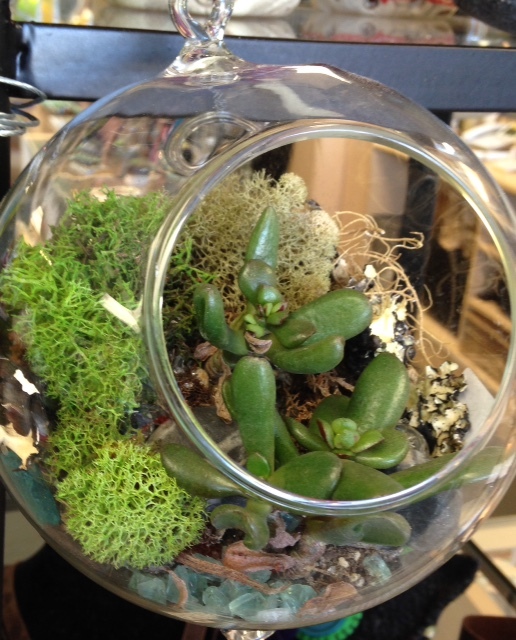 We currently have a fabulous Globe Terrarium Kit, complete with quite literally everything anyone will need to create his or her own hanging or seated terrarium – from subgravel, activated charcoal, and soil to mosses, glittery top gravel, and even decorative surprises like crystals and plastic dinosaurs. Just add a store-bought plant, some creativity, and water….and sit back and enjoy your little miracle! But wait, that’s not all! Are your friends not into plants so much? What if they are the spa types, who enjoy a good soak in a hot tub (and maybe some kitchen witchery too)? 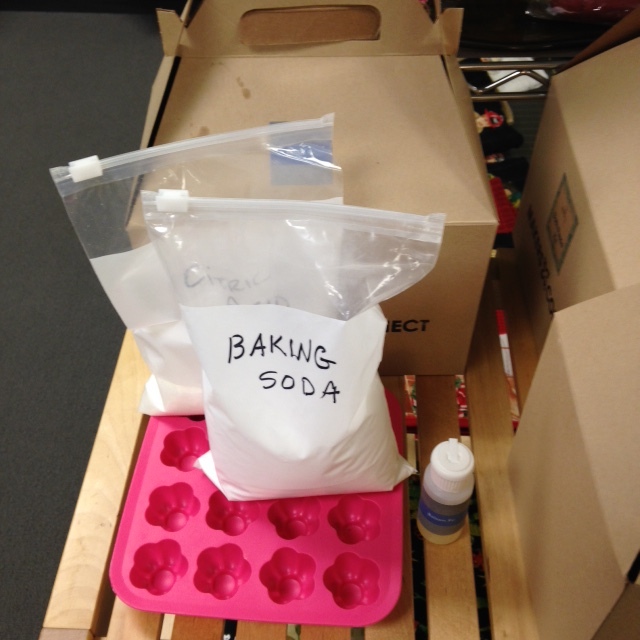 We’ve set up another groovy kit that includes everything necessary to make Fizzy Balls, from the dry and wet ingredients to the mold and instructions. All you need is a mixing bowl and spoon. Oh, and some water. Pretty simple stuff really. We are offering amazing fragrances like Balsam Fir, Jasmine, and Texas Cedarwood & Neroli…just for a start. All kits are $25.00 and come in an attractive cardboard carton with instructions and tools. 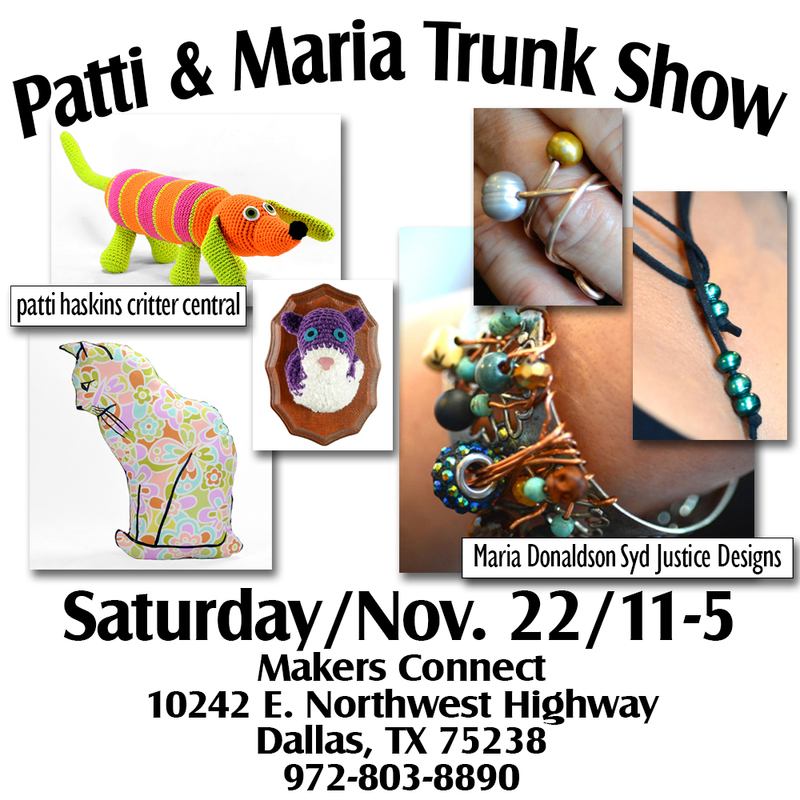 Christmas Shopping in Style Nov 22…..It’s Patti and Maria’s Trunk Show! Next Saturday we’re inviting the dynamic duo (who have been friends through the years and across far flung parts of the US) of Patti Haskins and Maria Donaldson, aka Syd Justice jewelry. We’ll be serving the champagne drinks and the tasty nibbles all day from 11:00 – 5:00. Make a point to stop by and see what is new – from adorable plush toys for kids and adults (including hilarious stuffed squirrel heads!) and jewelry that’s at once organic and feminine as it is edgy; crafted from bronze, leather, brass, silver, pearls and gemstone beads.